b. 20 Oct. 1784, 1st s. of Henry Temple, 2nd Visct. 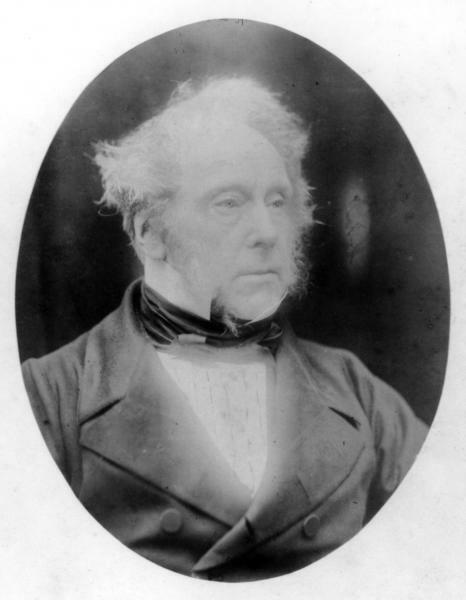 Palmerston [I]*, by 2nd w. educ. by Gaetano, an Italian tutor; Harrow 1795-1800; Edinburgh Univ. 1800-3; St. John’s, Camb. 1803-6. m. 11 Dec. 1839, Hon. Emily Mary Lamb, da. of Peniston Lamb, 1st Visct. Melbourne [I]*, wid. of Peter Leopold Louis Francis Nassau, 5th Earl Cowper, s.p. suc. fa. as 3rd Visct. Palmerston [I] 16 Apr. 1802; GCB 6 June 1832; KG 12 July 1856. Ld. of Admiralty Apr. 1807-Oct. 1809; sec. at war Oct. 1809-May 1828; PC 1 Nov. 1809; sec. of state for Foreign affairs Nov. 1830-Nov. 1834, Apr. 1835-Sept. 1841, July 1846-Dec. 1851; sec. of state for Home affairs Dec. 1852-Feb. 1855; first ld. of Treasury Feb. 1855-Feb. 1858, June 1859-d.
Ld. warden, Cinque Ports 1861-d.; master, Trinity House 1862-d. I never heard statements made with more precision and clearness in the House of Commons, nor more ably supported; the ability with which that was done drew marked approbation as well as applause from both sides of the House. This was very different from a set speech on any particular occasion, and holds out great promise. He had voted against parliamentary reform, 21 May 1810, and voted against sinecure reform as well. When in 1812 he might have replaced Wellesley Pole as Irish chief secretary, however, ‘particular circumstances and considerations led him to decline it at once and without the least hesitation’. On 22 June 1812, and again 1 Mar. 1813, in defiance of his constituents’ petition of 8 Dec. 1812, he made it clear to the House that he was a supporter of Catholic relief, for which he invariably voted thereafter. He made his second visit to Ireland in 1813 and also found time to make continental tours in 1815, 1816 and 1818. He acquitted himself of his main responsibility, the annual presentation of the army estimates, in a manner calculated as much to irritate as to impress: he affected incomprehension of the opposition’s enthusiasm for debating anything so statistical—what he called ‘trifling with the public understanding’9—and disinclination to speak on anything else. On first presenting the estimates he had conjured up ‘the insuperable barrier of a high-spirited, patriotic and enthusiastic people’ against Buonaparte. Subsequently he paid more attention to detail. He resisted opposition bids to undermine him on topics such as tax relief for officers, the military code, dismissal of officers without court martial and the German legion and lampooned them anonymously in the New Whig Guide (1815); in 1816 he repelled their onslaught on the size of the military establishment, refusing to relate it to fears of radicalism at home. In 1817 and 1818 he voted for ministerial measures against the radicals. It was not a radical, but an insane lieutenant on half-pay who attempted to shoot Palmerston on 8 Apr. 1818. He was nevertheless enough of an alarmist to sign the Hampshire counter-requisition against a meeting to censure the Manchester magistrates in 1819, justified it in the House, 2 Dec., and remained in town until 23 Dec. to vote for restrictive legislation. During sixteen years that I had sat in Parliament with him previously to 1828, I do not recollect an occasion of his opening his lips on any except the ordinary business of his office, which he managed with apparent ease. He slept much in the House of Commons, and never omitted, if he could get away by twelve o’clock, to trot home in his cabriolet, and dress himself, and go to some party. He was a beau, and his society much liked by ladies. Indeed he was very popular generally, from his talents, his great knowledge of the world, and his address and polished manners. During the whole of that time he kept a few good race horses and was a great winner of country stakes. He resisted a peerage and India for the sake of the House of Commons, joining Canning in 1827 and the Whigs in 1830, when as Foreign secretary he began his career as a European statesman. He died 18 Oct. 1865. 1. Lytton, Bulwer, Palmerston, i. 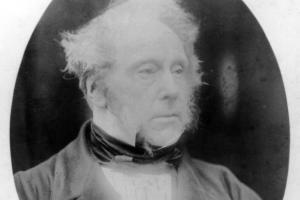 367; Palmerston Letters (Cam. Soc. ser. 4, xxiii), intro. by the editor Dr K. Bourne, Palmerston’s latest biographer (1981). 2. Malmesbury mss, Palmerston to Malmesbury, 13 Oct. 1805. 3. Lytton Bulwer, i. 23. 5. Harewood mss, Canning to his wife, 6 Aug. 1807; Malmesbury mss, Palmerston to Malmesbury, 8, 14 Aug. 1807. 6. Jnl. of Lady Holland, ii. 240; Malmesbury mss, Palmerston to Malmesbury, 21 Sept. 1808; Lytton Bulwer, i. 90-104; Phipps, Plumer Ward Mems. i. 274, 279; Sidmouth mss, Buckinghamshire to Sidmouth, 28 Oct. 1809; Corresp. of Lady Lyttelton, 85; Perceval (Holland) mss 21, f. 21a; Malmesbury Letters, ii. 180. 7. Malmesbury mss, Rose to Malmesbury, 3 Mar. 1810; Lytton Bulwer, i. 384. 8. Minto in India, 331. 9. Lytton Bulwer, i. 146. 10. Staffs. RO, Hatherton diary, 26 June 1850.